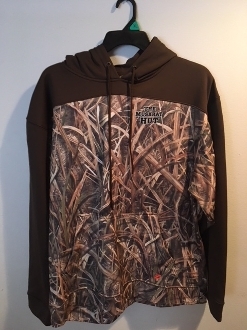 Size 3XL: Blades camo hoody with brown accents on hood/shoulders/sleeves. Logos on front chest and back. 100% polyester performance material.